Born in Guadalajara, Jalisco. He first studied medicine in his hometown and finished his degree at the Universidad Autonoma de Mexico in Mexico City. In 1921 he started learning the art of woodblock printing with Carlos Orozco Romero and 11 years later he studied sculpture and started producing quality works. His most notable sculptures are "Campesino Sacrificado" (1954) which can be seen at kilometer 39 of the old highway Mexico-Cuernavaca, and "A los Trabajadores de la Medicina" (1962) at the Hospital 20 de Noviembre of ISSTE. During his lifetime he exhibited widely in Mexico and abroad and was the recipient of numerous awards from notable institutions such as the Instituto Nacional de Bellas Artes and the Salon de la Plastica Mexicana. 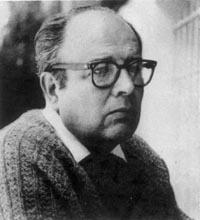 Francisco Arturo Marin died in 1979.